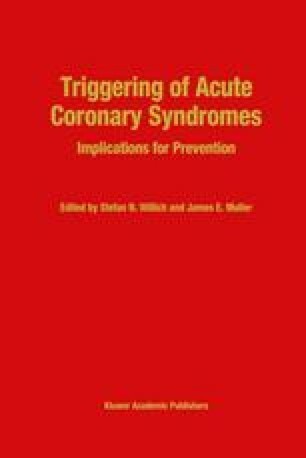 Acute myocardial infarction secondary to atherosclerotic coronary artery disease is a leading cause of death in developed countries of the Western hemisphere. New dimensions and perspectives of clinical interest have emerged since acute coronary angiography ‘rediscovered’ the presence of a thrombus, usually superimposed on an atheromatous plaque, as the responsible culprit for the occlusion of an infarct-related artery. The observation that streptokinase infusion results in recanalization of occluded coronary arteries provided the basis for the development of thrombolytic therapy in patients with acute myocardial infarction.